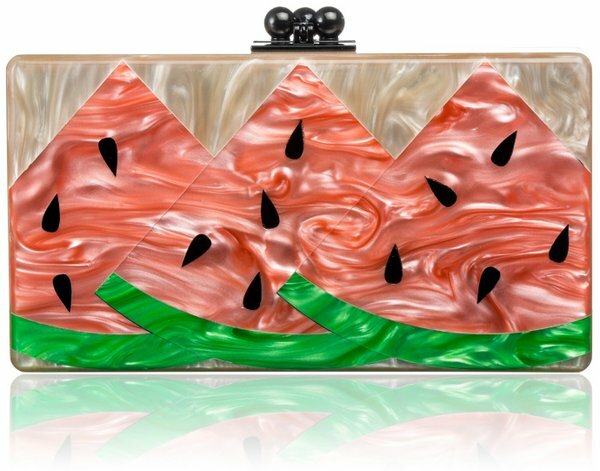 It's not quite watermelon season yet, but wouldn't this sweet little clutch be perfect with a sundress come summer? The Jean Watermelon Clutch by Edie Parker is handcrafted of acrylic and features a kiss lock closure and signature mirror on the inside lid. At $1,495, though, here's hoping it goes on major sale by the time hot weather hits. Update: It looks like the Watermelon Clutch has sold out (sniff, sniff), but this Flamingo version is just as seasonally appropriate and, even better, a couple hundred dollars cheaper.